The aim of the annual HEMA design competition was to design a chair for children. Hema is a leading department store in the Netherlands with a playful, puristic and square style. 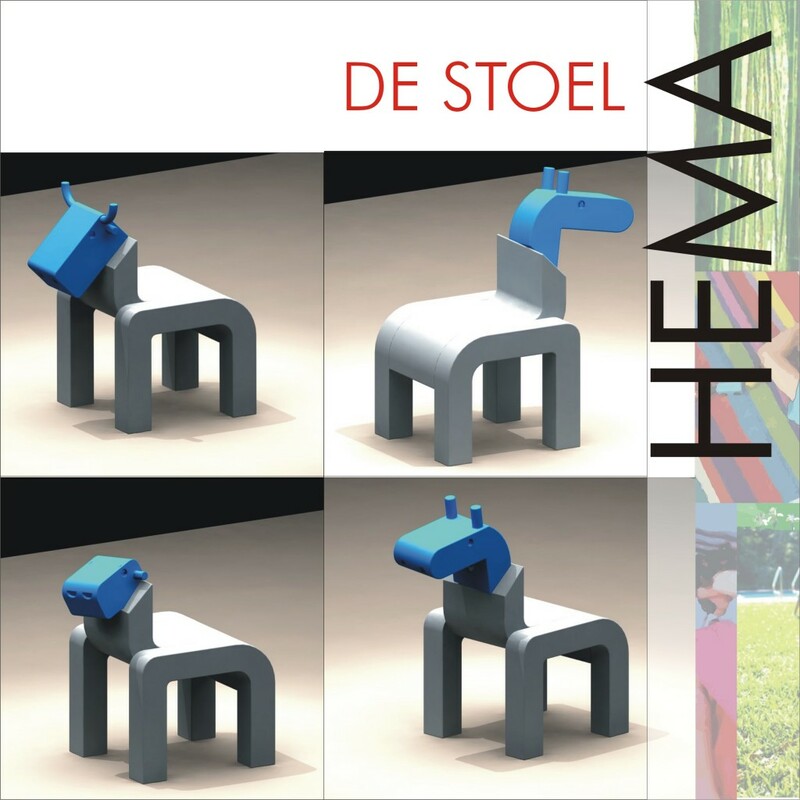 The H of HEMA, as well as playful features like a interchangeable turning head and clip on cushions. This triggers the fantasy and imaginary power of children. After a thoroughly analysis the shapes of some animal heads were brought back to the basic recognition features. For the competition a full-scale model was build, that sadly got lost before i could take good pictures.